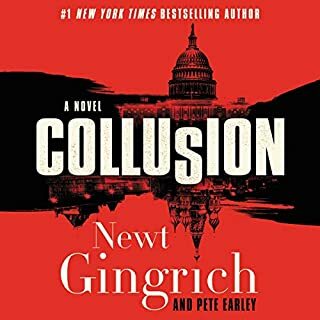 Leading politician and best-selling author Newt Gingrich and novelist Pete Earley are back with another gripping international thriller. 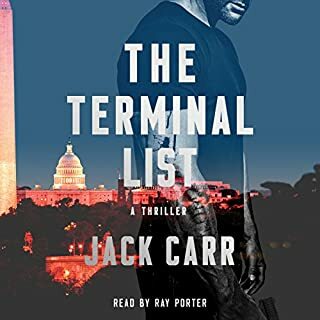 A terrorist drives an explosive-packed rental truck into Major Brooke Grant's Washington, DC wedding, intending to detonate a deadly bomb. Saved by a last-minute fluke, Brooke seeks revenge against the master terrorist responsible, an international radical Islamist known only as the Falcon, who is determined to murder her, bring America to its knees, and create a modern-day caliphate. An unorthodox, newly sworn-in president recruits Brooke to join a clandestine CIA team in pursuit of the Falcon. With help from an odd coupling - a Saudi intelligence officer and an Israeli Mossad agent - Brooke goes after her elusive zealot nemesis. But before the trio can close in on their target, they discover that America's worst nightmare has come true. 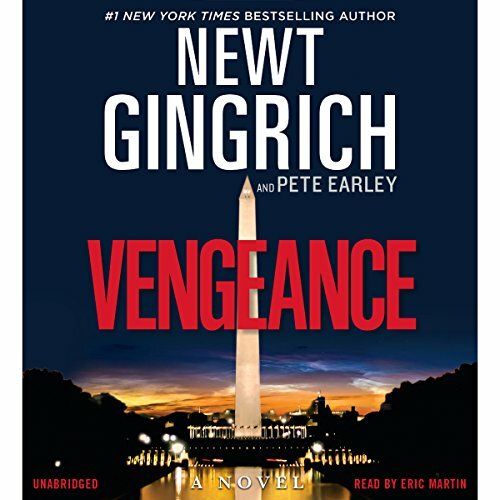 Intertwined with backroom Washington political intrigue, Vengeance is a fast-paced, realistic thriller that entertains while raising serious questions about our national security, the power of religious faith to inspire good and evil, the consequences of revenge, and the validity of our constitutional safeguards. Former speaker of the house Newt Gingrich and Washington Post reporter turned novelist Pete Earley are at their best in this third installment of their best-selling Brooke Grant series. Wow! I am so impressed with this book!! I never expected it to be as good as it is. From Newt Gingrich?!? 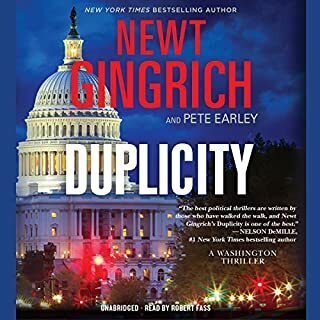 I know he cowrote it with Pete Earley who is an author but.., Gingrich does get top billing. Enough with my rant, I just can't get over how good this is!! Anyway, once again the publisher's summary lays out the story line very well. 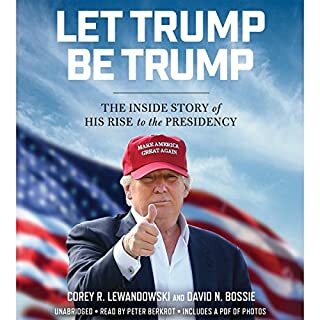 If I went into anymore detail I would be filling in the hunt and conclusion and if your considering getting the book you wouldn't need to anymore. The writing is excellent. The characters are fleshed out and the plot is realistic and believable. 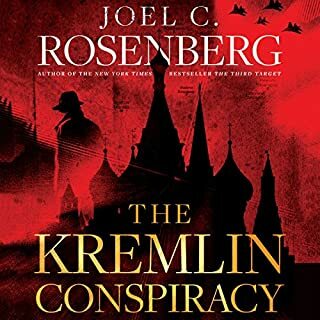 The antagonist (a terrorist responsible for killing the president) is wickedly clever and the story follows his movements, murders and deceptions starting from the first minute you begin listening. I can't say enough about this book or the first rate narration by Eric Martin. I would have never listened to this novel except for the 5 star review by Audible listener Shelley. Rather than review it, I recommend you read her review with which I agree. Since reading Shelley's review I have looked into this series, The Brooke Grant espionage series began with October 2015 release of Duplicity and was followed by Treason on October 2016. This novel Vengeance was released in October 2017. The ending of Vengeance indicates there will likely be a fourth novel in the Brooke Grant series. Who is Brooke Grant? She is a major in the US military. She is from Oklahoma and her ethnicity is African-American. I plan to listen to the other novels in the series. Right out of today&amp;quot;s headlines... Great book Gingrich and Earley.. I cant wait for the next book. “Vengeance” weaves an insider’s knowledge of politics, the historical grievances of Islam and the existential dangers of radicalized Muslims today into a fast-paced story you won’t want to put down. Gingrich has always been a master of history and current events, and the three novels in this series are full of both. I’ll be watching for the next one. I enjoyed the story from start to finish. Can't wait for the next exciting installment/continuation. Yet another great read from Newt Gingrich. Did not want to put this one down! Well written and engaging storyline. Felt as if I were right there in the story! Left with greater understanding of the conflicts. Loved the book. Fun story and all too possible. The other two books got me hooked. Looking forward to another installment. If you like Clany, this is for you! 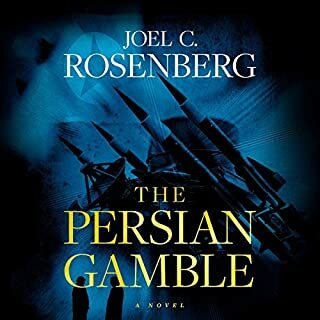 What Clancy brought to the thriller novel, detailed tactical elements, Gingrich and his partner accomplish with an experienced perspective on the operations of modern geopolitics. Bravo!